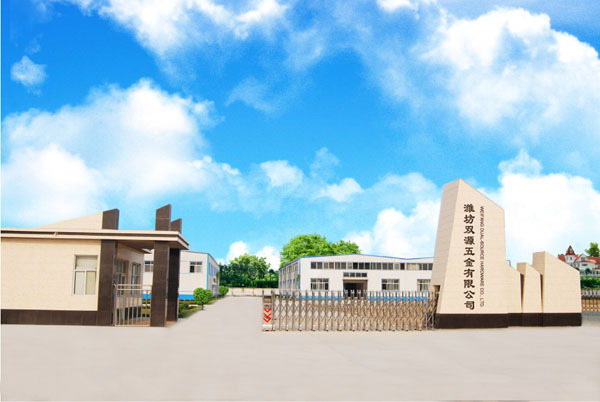 Founded in 2004, Weifang Dual-Source Hardware Products Co., Ltd is a professional manufacturer and exporter of stainless steel hardware products in Shandong Province, China. The factory covers an area of more than 5000 square meters with more than 150 skilled employees and six separate workshops. We are capable of processing over 100 tons of finished casting parts per month. Our stainless steel products include: stainless steel fittings, balustrade fittings, handrail fittings, glass fittings, glass clamps, handrail brackets, flush joiners, ends caps and marine hardware etc. Now our products have been exported to America, Canada, UK and Australia etc. We pride ourselves on supplying the quality stainless steel hardware products and good after-sales services, as we focus on the details of each work flows to ensure each of the items meeting the quality standards. We welcome OEM orders from customers, meanwhile, ODM is also available for us. Please feel free to send us your inquiries or suggestions, our professional sales team will reply you promptly with satisfactory answers.